Bestselling author Lauraine Snelling crafts a poignant story of hope and restoration for a newly paroled mother rebuilding her life after the loss of her son. Maggie Roberts is starting over again after her reckless driving led to a 10-year prison sentence and the devastating loss of her son. Having learned to repurpose retired thoroughbred racehorses through an inmate training program, Maggie finds a way to rebuild her life. But it's not until she meets single father Gil Winters and his wheelchair-bound son, Edward, that she finds her calling. In helping Edward with his therapy using horses, Maggie finds herself coming to life again. But when a shadow from the past returns, Maggie is forced to choose between her newfound freedom and getting Edward the life-saving help he needs. 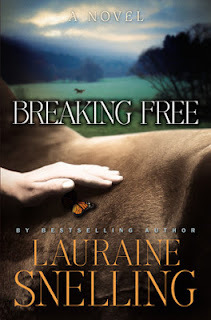 Breaking Free was a great book with a really good story! I liked all of the facts about training horses and how second chances were a major theme in the book. The characters were nice and I enjoyed the little bit of romance that was in Breaking Free. 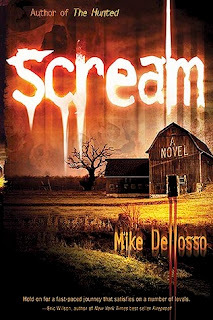 Scream is the second book I've read by Mike Dellosso and, like Frantic, I loved it! Scream was such a great suspense novel that had some supernatural elements. The book definitely made me think about how everyone has an appointment with death and the importance of trusting in Jesus alone for salvation. I really liked the characters. I was surprised that women were kidnapped in Scream (I obviously didn't read the description well), but I have to say, I did guess who "Judge" was early on in the book. Still, I found myself "on the edge" of my seat in suspense a LOT (especially towards the end). The whole screams aspect of the story was very weird, but it did make the novel more intriguing. Overall, I thoroughly enjoyed Scream and definitely recommend it if you enjoy suspense books that have some supernatural elements. 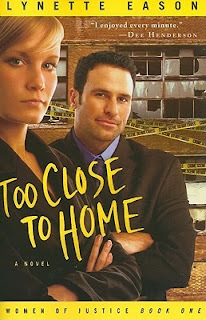 I've read a lot of Colleen Coble's books and she is a favorite author of mine. Although Tidewater Inn isn't my favorite of hers (that would be Abomination), I did still like it and found it to be an enjoyable read. Something I particularly loved was how Bree, her family, and search & rescue dog, Samson, showed up in Tidewater Inn and played an important role in the story! I'm so glad Colleen brought back these characters and I hope they will be in some of her future novels as well. I didn't care for how the story seemed to repeat things often and, at times, seemed inconsistent. I liked the characters and my favorite was probably Alec or Libby (I'm excluding Bree and her family because, of course, they are favorites). There were quite a few times I was surprised by things in Tidewater Inn - which I really liked. 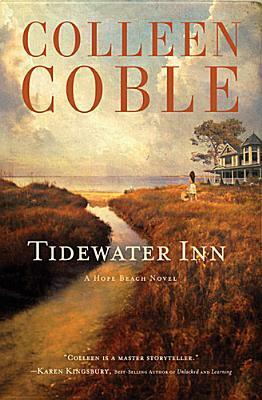 Overall, I enjoyed Tidewater Inn and look forward to reading book two in the Hope Beach series when it releases. 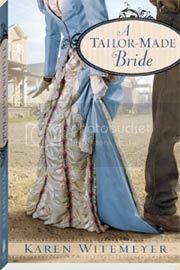 If you enjoy mystery novels with some sweet romance, then I think you might enjoy Tidewater Inn as well. Good read! "Draw the guy out. Take his focus off the girls." Find the book on: Amazon, Goodreads, B&N. FYI, this book is FREE right now on Amazon Kindle and Nook!! 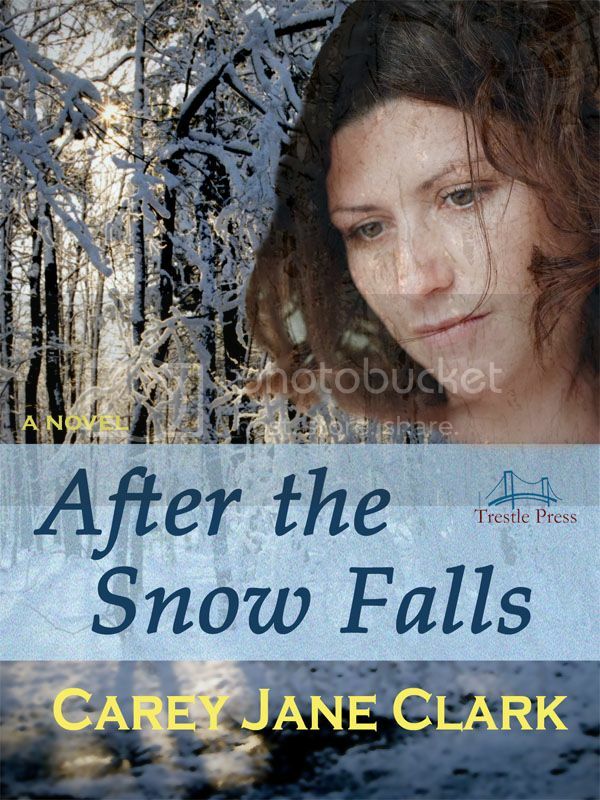 Enter to win an eBook copy of After the Snow Falls by Carey Jane Clark! Open Internationally! *Winners have been contacted and have until 2/1 to claim their prize. 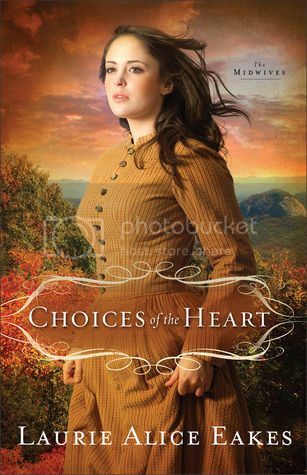 A new identity may protect her family--but can it protect her heart? Wealthy cattle baron and political hopeful Barrett Landry must make a sensible match if he is to be elected senator of the soon-to-be state of Wyoming. He needs someone with connections. Someone without a past. Yet he can't shake the feeling that Charlotte holds the key to his heart and his future. Waiting for Spring is only the second novel I've read by Amanda Cabot (the first being Summer of Promise), but I can already tell I'm a fan of her work! Waiting for Spring was a very enjoyable read that kept me interested throughout. I loved the characters in Waiting for Spring, and couldn't help feeling for Charlotte and all she had gone through. She seemed like a very courageous woman, in spite of her fears. I loved the scenes with Barrett and David. It was so cute the way they interacted. While the identity of "The Baron" isn't kept a secret from the reader, there was still a little bit of suspense to Waiting for Spring, which I really liked. I was never bored while reading Waiting for Spring, but I will say I was surprised by the length of the story. 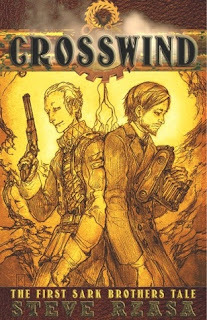 At one point, I thought things were nearing the end, and I couldn't believe there was still a good chunk of the book left to read. Overall, I loved Waiting for Spring and am looking forward to reading book three of the Westward Winds series, With Autumn's Return, which should release spring of 2014. 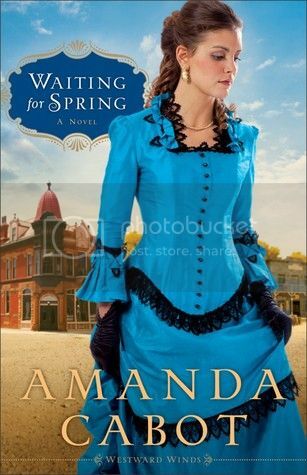 I recommend Waiting for Spring if you enjoy historical romances. I don't think it is necessary to read Summer of Promise first. Having read (and loved!) The Pursuit of Lucy Banning last year, I was really looking forward to The Dilemma of Charlotte Farrow and it did not disappoint! I loved learning more about Charlotte Farrow (who was introduced in book one) and was surprised by quite a few things in her story. The characters were great and even though I found one person very frustrating, it was in a good way. ;) I particularly liked Archie, which surprised me because at first I wasn't sure I'd like him, but as the story continued I realized what a wonderful guy he was. I also found it interesting and unique that both of the main characters in The Dilemma of Charlotte Farrow were servants. 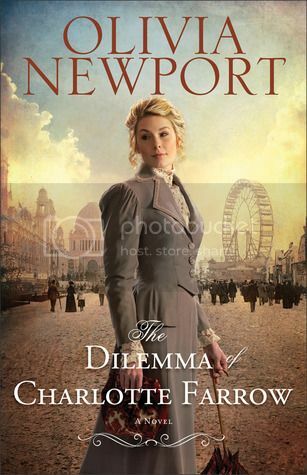 Overall, I loved The Dilemma of Charlotte Farrow and recommend it if you like historical romances. I don't think it's necessary to read The Pursuit of Lucy Banning first in order to enjoy this one, but doing so will ensure you'll know more fully what had happened earlier in the Bannings' lives. Great read! Singer Ginny Marshall is one signature away from the recording contract of her dreams-a deal that would guarantee success for the former foster child, who still struggles to bury the memories of her painful childhood. But Ginny needs advice from the one person who will look out for her best interests-her former fiancé, Brett Miller. She travels to the remote town of Glacier Bay, Alaska, where the town's colorful characters and stunning scenery provide respite from LA's pressures. In Glacier Bay, Ginny discovers a box of old letters and is swept up in the love story between Clay, an early missionary to Alaska Territory, and Ellie, the woman who traveled there to be his children's governess. When Ginny is reunited with Brett in Glacier Bay, will she discover-as Ellie did-that healing and love are sometimes found in the most unexpected places? I'm pretty sure Love Finds You in Glacier Bay, Alaska is only the second Love Finds You book I've read, but I hope to read many more in the future. I enjoyed this book a lot more than I had thought I would and loved the ending! The characters were really nice and I especially like Brett, Brett's Grandmother, and Ginny. I loved the setting and how small the town of Glacier Bay was. 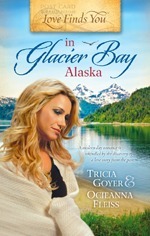 Overall, Love Finds You in Glacier Bay, Alaska was a great read and I recommend it if you enjoy good, sweet romance stories. Attention!! Two-Year Blogoversary Coming Up!! 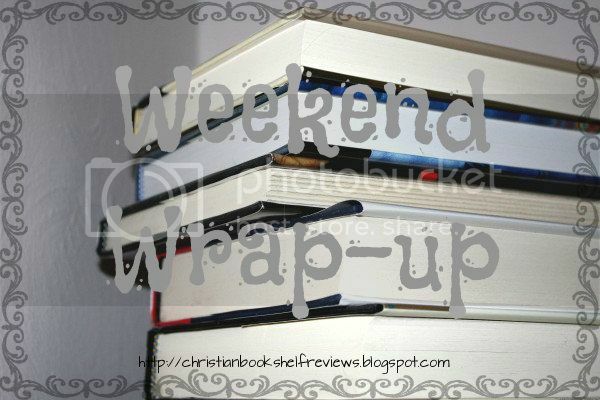 Wrap-Up for 2012 Reading Challenges! Top 12 Books of 2012!